New York Times Review. (10/23, 2010 by M. H. Reed) WORTH IT! "Rediscovering the Art of Classic Details - Diners missing the serenity and Old World details once offered at the county’s high-end restaurants, many of which are now defunct, can rediscover some of those niceties at Il Castello." Food: 24, Decor: 19, Service: 25. 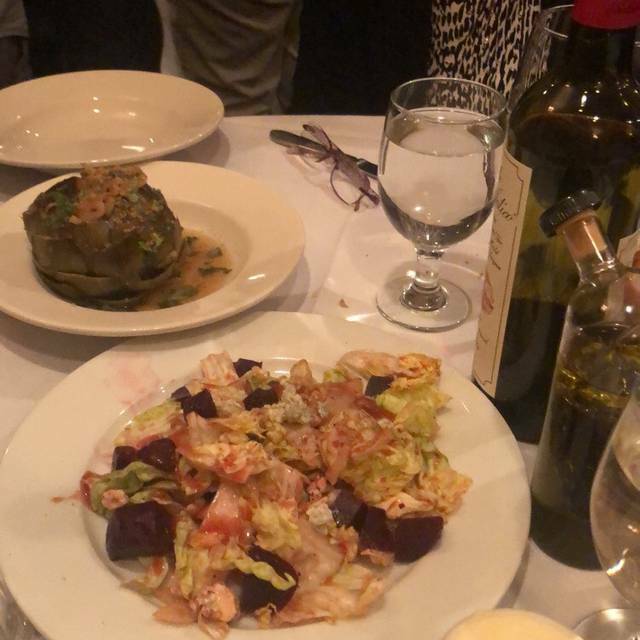 This tiny jewel of a place in Mamaroneck, NY packs a big punch with delicious Northern Italian delicacies and an excellent wine list delivered via an impeccable staff. Rich wood, chandeliers and civil sound levels provide an impress-a-date setting at a cost that is not that expensive for the neighborhood. 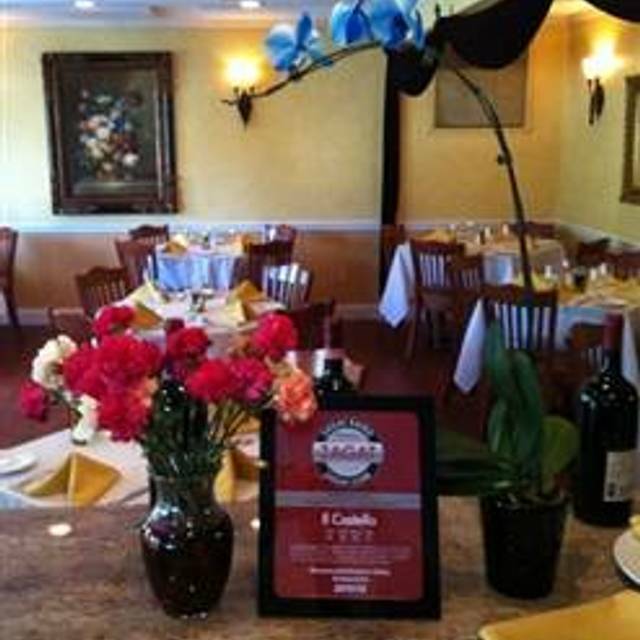 It is recognized for excellence and one of the best Italian restaurants in Mamaroneck. Happy Easter to all! We will be open from 12:00 P.M. 9:00 P.M. with our regular and traditional Easter Sunday menu. My husband and I brought another couple to our favorite restaurant and they (and we) were not disappointed! Cocktails were cold and delicious, bread was wonderful as usual. We all shared arugula salad and the meatball appetizer. Both were out of this world. Our waiter was attentive, not intrusive, very pleasant and all of our entrees arrived hot, including pappardelle, ravioli and the pork chop special. We shared tartufo and key lime pie for dessert, some of the best around. Lenny, the owner, stopped by to say hello and sent a round of after dinner drinks which we all enjoyed. Thanks Lenny! I was very disappointed in my meal. I ordered the special Branzino with the sauce on the side. When they brought the fish to the table before they filleted it I was asked if I wanted the sauce on the Branzino or on the side, I said, "on the side." When it was brought to the table, the sauce was all over it and quite a bit of sauce. I turned and said I ordered it with sauce on the side. I really didn't want to send it back but I couldn't eat it. I called the waiter over and told him that I could not eat the meal because it was swimming in sauce. At that point everyone else was finished with their meals which they enjoyed,. He asked if I wanted anything else. I said no, I did not want them to wait for me to have another meal made. He offered coffee and dessert, which I declined, but he still brought one slice of cheese cake. I have eaten here before and enjoyed my meals. I was very dissatisfied and disappointed as it should have been taken off the check. It was $32.00 and I left there upset and still hungry. Generally I do not comment, but this really upset me and ruined my evening out. Il Castello remains our favorite Westchester restaurant. Lenny, the owner, never fails to stop by our table to say hello. The waiters know our favorite table as well as our favorite cocktails. Service is impeccable. Food is excellent. My Chicken Francese was perfect and the serving was a generous size. Ravioli is also delicious. Bread basket, especially the breadsticks, made on site we are told, is addictive. We are already planning our next visit to Il Castello as early as this week! Very solid and good selections. Il Castello is the type of Italian restaurant that always provides a solid meal with a broad selection of items to satisfy everyone. We went for lunch for the first time and were surprised by how quiet it was, which is quite a contrast to dinner. But, busy or not, the food is consistent as is the service. This is our favorite restaurant. We love Lenny & the staff! I consider myself a bit of a restaurant connoisseur and believe me when I tell you.. the food, service, value and atmosphere are all A+.. absolutely fantastic!! The food is super fresh and of excellent quality and each course was even more delicious than the last! The staff is also incredibly nice.. I cannot believe that I did not know about this restaurant until recently! Great find!! Can’t wait to go back! Food was great, service was terrible. Asked a soda three times, finally had to get it myself. Waiter didn't come to check to see if we needed anything. We had a baby with us and I specified on open table that we needed a high chair but we had to wait for that as well. They cater mostly to the regulars who go there. Noise level was ridiculous the waiter could not even hear us. Food was good, but I would only take out not eat in. Great to share this consistently delicious local favorite with others. Tonight everything from veal to red snapper to chicken was perfectly prepared and biscotti is always a perfect ending. The food is delicious but expect a wait to get served on Saturday night. It is like Cheers -- everyone knows your name -- Everyone is greeted by Lenny with a kiss and a hug. The food is always great and the service warm and attentive. We enjoyed a leisurely dinner for 3 on a quiet Thursday night at one of our favorite local spots. Il Castello’s service is stellar, attentive but not intrusive. The bread basket is the best I’ve ever tasted. Cosmopolitans are excellent. 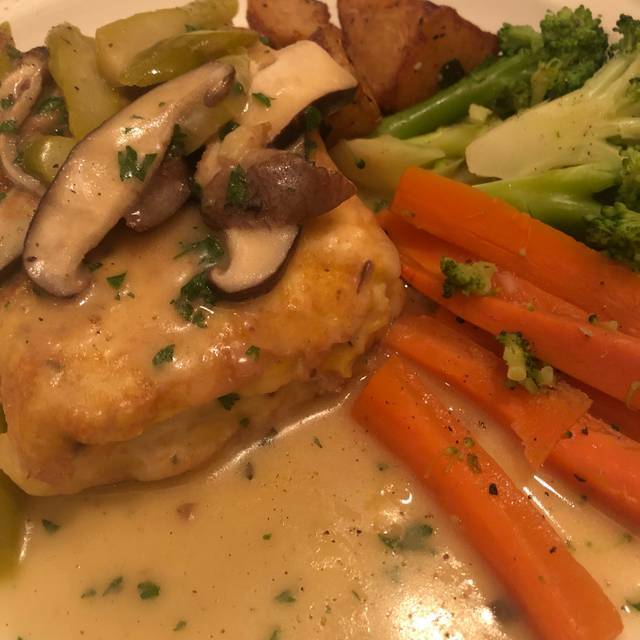 Our chicken and veal dishes were top notch. Tartufo is the best around. Thanks to Lenny the owner for treating us like family...you know we will be back! Il Castello is one of those restaurants you should try on an occasion that is not special in any way. I came here with my husband for Valentine’s Day looking for fine Italian cuisine and was sorely disappointed with the service. I had reservations and still had to wait 45 minutes and it took about that long for someone to even acknowledge that we were there. I had to stop one of the rushed waiters to ask about my reservation who didn’t help much. The food was good I have to say but the journey to get it on our table was horrendous. Friday evenings are very noisy as the small space reverberates the sound! Second time here, different group of friends, everyone loved everything we ordered and appreciated the chef’s attentiveness. Planning to go again with other friends soon. I have been going here for dinner on New Year's Eve for several years. It is always packed and lively but very good service and food. They always have excellent specials, but the items on the regular menu are also very good. This is an "old school" type of Italian Restaurant, but it has extremely high quality food and wines and just is a good place to go. We celebrated Christmas here and the whole family was very pleased with the meal, service and overall experience. There was plenty of attentive staff ready to serve us and each meal was excellent including the wine, appetizers and dessert. We were so happy with the choice and will definitely return! Party of 10, Christmas Eve dinner for my family. Everything was fine, but the waiters seemed rushed/flustered. Food was very good. Nice selection of specials. The owner, Lenny is always so gracious. The food was very nice and we were welcomed very warmly. We always look forward to dining at Il Castello and have recommended t to our friends. We have been here many times and never tire of the quick valet parking, attentive service, unreal bread, including the tastiest breadsticks ever, and cold, perfect cocktails. 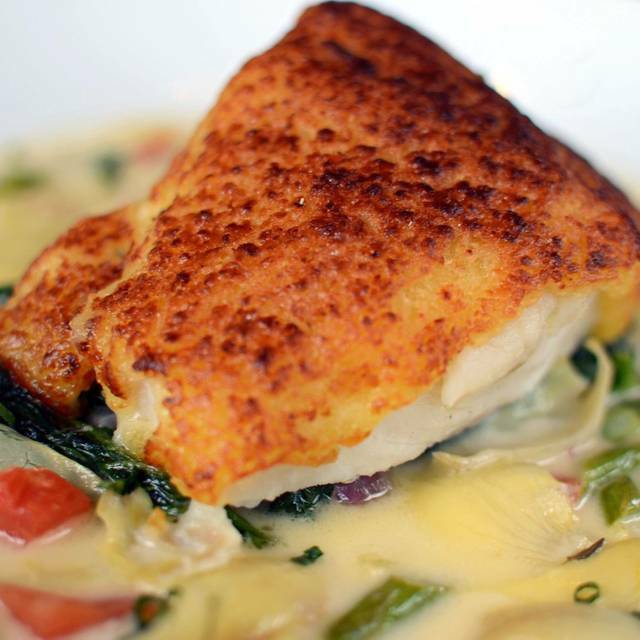 In addition to the many specials, the menu offers something for everyone. Don’t forget Lenny, the amiable owner, who is always on the move to be certain that things run smoothly and who is likely to stop by your table to say hello. We are already looking forward to our next visit, hopefully in the near future. Try Il Castello and you will not be disappointed. outstanding food and service is great! The room gets a bit noisy because it's not a large restaurant, but the food is so good I didn't care! The food and service is always wonderful here! Despite the romaine lettuce scare we were able to enjoy a great Caesar salad made with bib lettuce! We love eating here! It does not get much better than this! The food is consistently so good. Maybe , because the owner is on the premises everyday. The new thin bread sticks are wonderful;better than the packaged ones found in a lot of similar restaurants. If you want a great ceasar salad, ask them to prepare it Larry's way ( me). I always ask them for sevderal extra anchovies and extra garlic to be be ground into the bowl along with the other ingredients of lemon and oil and egg yolk. Yummy! The ,main courses this evening were, a pork chop made to my liking , medium rare, covered with onions and mushrooms and sauteed red peppers. My companions had a stuffed veal chop and a veal parmigiana without cheese. left with a nice warm feeling. Note, not related to the restaurant except to eat there once a week minimum. The other night they had stuffed veal chop (a special). It was the best stuffed veal chop, tender not chewy, creamy, topped with cheese and mushrooms, and lots of it (but I finished it all). My wife and I try to get there maybe once a month. Service is great and they have valet parking. Bottom line: Go there. Honestly, not on weekends; it's too crowded. Always a pleasure to dine at Il Castillo. You're always greeted as if you had been there the day before. Service is very attentive, and food is very good. A first rate restaurant. We've dined there often and never been disappointed. Spectacular homemade cavetelli pasta and old reliable chicken parm ; absolutely the best in the area. Great simple meal with a glass of wine and we went home more than satisfied and soem left overs for the next afternoon snack. The first time I dined at Il Castello, I raved for weeks. I reported that it was the best meal I'd had since coming home from Italy. The service was a delight, and each dish was "the best I had ever had" of that food item. Their octopus slammed every dish I've had elsewhere. The chef has such a light hand that no matter the preparation, the quality of the ingredients is what shines most brightly. If that's not the definition of fine Italian cuisine, I don't know what is. Returning a second time, not to mention during Hudson Valley Restaurant Week, I couldn't expect the same level of meal. Was I wrong. Despite the bargain, the busier dining room, etc., each course was a revelation, the servers took time to help us choose wine (despite it being only a glass, not a full bottle!) We are so lucky to have this in our community. I just hope it doesn't become overcrowded as more people discover this gem! Il Castello never disappoints! The restaurant week menu offered plenty of choices, cocktails were dreamy and of course the service was top notch! The breadsticks are addicting and we all loved our entrees. This is our favorite go-to place any night of the week. We will be back very soon!